Putting kids to bed can be quite the ordeal. Parents all over the country understand the stresses of getting the little ones ready for and into their beds. While Disney magic can’t make every child go to sleep, it just might be able to make things a little bit easier. Beginning today, families and fans can add a little Disney magic into the bedtime routine with the new Disney store’s Sleep Shop Hotline*. The toll-free number, 1-877-7-MICKEY, has five special messages from Mickey Mouse, Minnie Mouse, Donald Duck, Daisy Duck and Goofy to give kids something to look forward to at bedtime. The phone number will run from today through August 31 and is available throughout the United States and Canada. 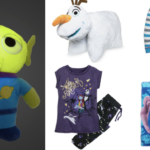 In an effort to help improve the bedtime battle, Disney store and shopDisney have launched a new “Sleep Shop” assortment of children’s sleep items from pajamas, slippers, and blankets, to plushes, pillows and more. 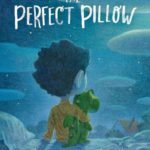 Disney has also teamed up with Lauren Olson, a certified pediatric sleep coach and founder of “Sleep and the City” to give her top tips to help parents trouble shoot common sleep challenges. Early Wake Up: This is common! If your child is waking up every morning before 6am, it’s time to invest in a black out shades and a light or clock that illuminates when it’s time to get out of bed in the morning. 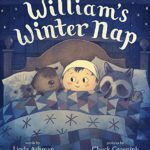 Won’t Go to Sleep: If your child suddenly refuses to fall asleep on their own or is waking up in the middle of the night, consider introducing a “friend” which is only offered a sleepy time. This can be a blanket or favorite stuffed animal, like the new Cuddleez! This oversized plush can even double as a pillow for toddlers when traveling. Be Consistent: Consistency is key. Decide on a consistent, yet flexible schedule that works for your life and stick to it as best possible. Scared at Night: If your child tells you they are scared at night, introduce a “nighttime friend” that is only offered at bed time, and encourage your child to hold, squeeze or sing to their friend should they wake worried at night.